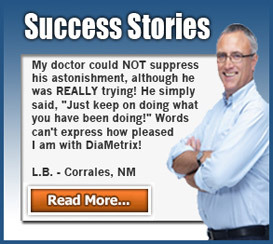 Information on this website is provided for informational purposes only and is not intended as a substitute for the advice provided by your physician or other healthcare professional or any information contained on or in any product label or packaging. You should not use the information on this website for diagnosing or treating a health problem or disease, or prescribing any medication or other treatment. You should always speak with your physician or other healthcare professional before taking any medication or nutritional, herbal or homeopathic supplement, or adopting any treatment for a health problem. For any products or services purchased from this website, you should read carefully all product packaging and instructions. If you have or suspect that you have a medical problem, promptly contact your health care provider. Never disregard professional medical advice or delay in seeking professional advice because of something you have read on this website. Information provided on this website and the use of any products or services purchased from our website by you DOES NOT create a doctor-patient relationship between you and any of the physicians or associates affiliated with ourweb site. Information and statements regarding dietary supplements have not been evaluated by the Food and Drug Administration and are not intended to diagnose, treat, cure, or prevent any disease. COPYRIGHT AND TRADEMARKS “Steelbreeze Marketing, LLC” and all logos including (DiaMetrix®), page headers, custom graphics and icons are trademarks and/or service marks owned by Steelbreeze Marketing, LLC. All other trademarks, product names, and company names and logos appearing on our website are the property of their respective owners. COMMERCIAL TRANSACTIONS Certain products or services may be offered for sale on www.diametrix.net and www.diametrihealth.com. 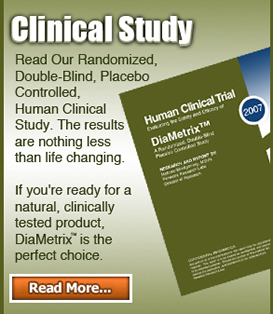 In the event you wish to purchase or to subscribe for any of these products or services, you will be asked by Steelbreeze Marketing, LLC, (www.diametrix.net and www.diametrihealth.com) to supply certain information, including without limitation, your full name, address, telephone number and credit card information. You agree to provide with the foregoing information as well as any other mandatory information that is accurate, complete and current, and to comply with the terms and conditions of any agreement that you may enter into governing your purchase of the product or service. You shall be responsible for all charges incurred through your account as well as for paying any applicable taxes. Further, we explicitly disclaim any responsibility for any product or service or the accuracy, content, or availability of information found on other websites that contain links to or from our website. Because some websites employ automated search results or otherwise link you to websites containing information that may be deemed inappropriate or offensive, we cannot be held responsible for the accuracy, copyright compliance, legality, or decency of material contained in third-party web sites, and you hereby irrevocably waive any claim against us with respect to such websites. LIMITATION OF LIABILITY Under no circumstances shall we or any other party involved in creating, producing, or distributing our website be liable for any direct, indirect, incidental, special or consequential damages or loss of profits, good will, use, data or other intangible losses (even if we have been advised of the possibility of such damages) that result from (A) any delay, failure, interruption or corruption of our website or any data or information transmitted in connection with the use of this website. (B) personal injury or death caused by your use or misuse of our website, (C) the cost of procurement of substitute goods and services resulting from your use of any goods, data, information or services purchased or obtained or messages received or transactions entered into, through or from our website (D) unauthorized access to or alteration of your transmissions or data, (E) statements or conduct of any third party on our web site, or (F) any other matter relating to our web site. You hereby acknowledge that this paragraph shall apply to all content, merchandise, and services available through our website. Because some states do not allow the exclusion or limitation of liability for consequential or incidental damages, in such states, liability is limited to the fullest extent permitted by law. FUNDING All funding and support for this web site is provided by Steelbreeze Marketing, LLC and Markit Health, LLC.